They say the only constant in life is change. This couldn't feel more accurate than at this point in my life and is probably truthful for most people reading this post. I remember recently telling someone I'm so used to change that it actually doesn't even phase me anymore. When I log into different systems and it all looks different from the day before, it's more expected than a surprise. I just simply have to quickly figure the changes out and move on. I was a Journalism major and while I am not in the news business at all anymore, just like many of the history and psychology majors turned marketers out there, that was probably the best training I could have received for this crazy, changing world. After taking a job reporting in Madison, Wisconsin after college I quickly became interested in the digital marketing components to maximize the exposure and impact of our stories and transitioned into a career in digital marketing. Since starting my own agency, I (like all small business owners) found myself doing something I never planned on doing and kind of dreaded...selling. In earlier years, the profession of selling has had a wildly different perception and reputation than it does now. 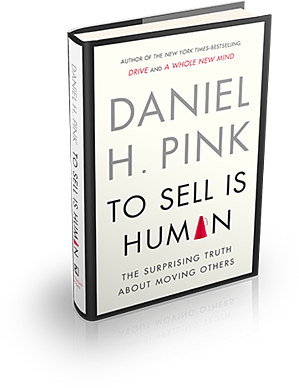 In Daniel Pink's book, To Sell is Human, he depicts the daily routine of what used to be a typical sales job through Norman Hall, the last Fuller Brush salesman who went door-to-door day in and day out trying to get a sale. He was trying to "sell" prospects on the value of his products...until he wore them down and they basically gave in. 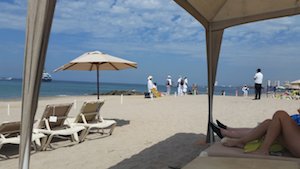 I read Pink's book recently on the beach while on my honeymoon in Mexico where in-your-face salesmen were still there making deals and sweet talking until they got a yes—any yes to anything they could. It took no more than five seconds for me to negotiate one guy down by 50%! I simply asked once and he said okay. That was it. Granted, selling necklaces and boat rides on the beach to vacationers is a substantially different type of sale than selling something more long term or higher risk products and services like software or business consulting, but even in that line of sales, everything has changed. Before a software company could buy a list, cold call prospects on that list with their script, and voila! Some bought and others didn't, but as long as the numbers were relatively good on a conversion rate bases, it worked and there weren't really any other options to consider. So what changed? What was the main game changer here that stopped this always be closing mentality? So what's the main kicker here for the products? Why didn't we buy that much on our trip? The information playing field has leveled, as Pink writes. The salesmen used to have all the information and power, but now they don't. Not only could we look up other deals for products and experiences on our phones, but we could also leave reviews, good or bad. Because of that shift, these salesmen selling experiences and products really had to be the BEST that we could find in basically the whole universe. Not an easy job. So aside from having the best products or experiences to offer, what else would put us over the edge to buy? Someone telling us the deal is going to go away if we don't sign up now? Well in that instance, yes, because we were only going to be there for two more days and the salesman telling us about the zip-lining deal of course had some discount that he could offer then but wasn't guaranteed after that moment if someone else bought it. So we were suckered in and signed up. It was a good deal and there was a finite timeline so in the end it was a win-win and his always be closing (ABC) technique worked. However, selling something like software or business consulting services is a completely different type of purchase and so hard selling, especially if you were trying to hard sell a bad deal that's overpriced or has a bunch of undisclosed fine print, would not go well. Why? Well number one, because of the leveled information playing field. People can simply get on Google, research your competitors, and find a solution that better fits their needs. Or if you sell them a bad deal, they can tell everyone on their social networks and then the next person you try to sell to gets on Google and.....you get the hint. Around and round we go in our omnichannel world. More important than that though is that because of all the marketing and sales messages we are bombarded with these days, we really hate being sold to. Someone who tries too hard to close too quickly comes across as desperate and we immediately don't trust them. "Why are they trying so hard? There must be something you don't want me to know. This must be a better deal for them, than me," is what we think. What DOES resonate now is what Pink points out as the new ABCs: attunement, buoyancy, and clarity. This is where all of our journalism, history, and psychology skills come into play from all those "useless degrees" all of us millennials decided to get. Without knowing it, we were all becoming the perfect New Age sales professionals because well, we were and are more interested in connecting and solving than....selling. Journalists learn how to see the world from someone else's point of view. Try asking someone else you've never spoken with 10 truly thoughtful, open-ended questions about their life. You have to know quite a bit about them and be able to put yourself in their shoes in order to do that. That's called perspective taking and is key in our new world of sales. How can you genuinely understand someone else's problem and TELL them how you can solve it for them if you don't really understand what they're going through? This is also where empathy comes into play. The same thing goes for the history and psychology majors out there as us journalism grads. They're genuinely interested in others or they wouldn't have spent their college years studying other people and their circumstances. And like they say, whoever can read the room wins. For those of us high in empathy and genuinely interested in (and able to take) other people's points of view, it doesn't even feel like selling most of the time. It just feels like natural problem identifying and solving. Wondering if you are attune and empathetic to others' emotions? I recommend just asking someone you're close with who you feel would tell you the honest truth. If it doesn't come naturally to you, learn how to become better at it. I will also add here that along with Pink's ABCs, I've found authenticity and humility to be absolute game changers for people who excel in moving others. Whether you're in sales or literally a human being interacting with other people at all in the world, Pink mentions that we're all in "sales" because we are all in the business of moving others, which is what sales at its core really is. Gone are the days with the closed office doors, the "because I said so" explanations, and other formal, inauthentic...formalities that conjure up scenes from 1999's Office Space. I think social media and the recession have a lot to do with that. Hence, Mr. blunt Donald Trump securing the GOP nomination. People do not want the scripted answers anymore. They want the gritty truth. And if you're not selling that, they're not buying it. Oh, and the whole economy is changing, which makes things less bureaucratic and formal also. It's interesting that the first point in this section is called "pitch" because, well, the rules of inbound kind of tell you not..to...pitch? But after going through it, it makes sense. We still essentially have our elevator pitch. It explains what we do and who we solve for in a few seconds. (And women, myself included, take note. Like this great book says, if you feel like people aren't listening to you, it might be because you...might talk too much. Take a hint from the men and learn to speak in headlines and bullet points. That will make for a better elevator pitch, and career.) 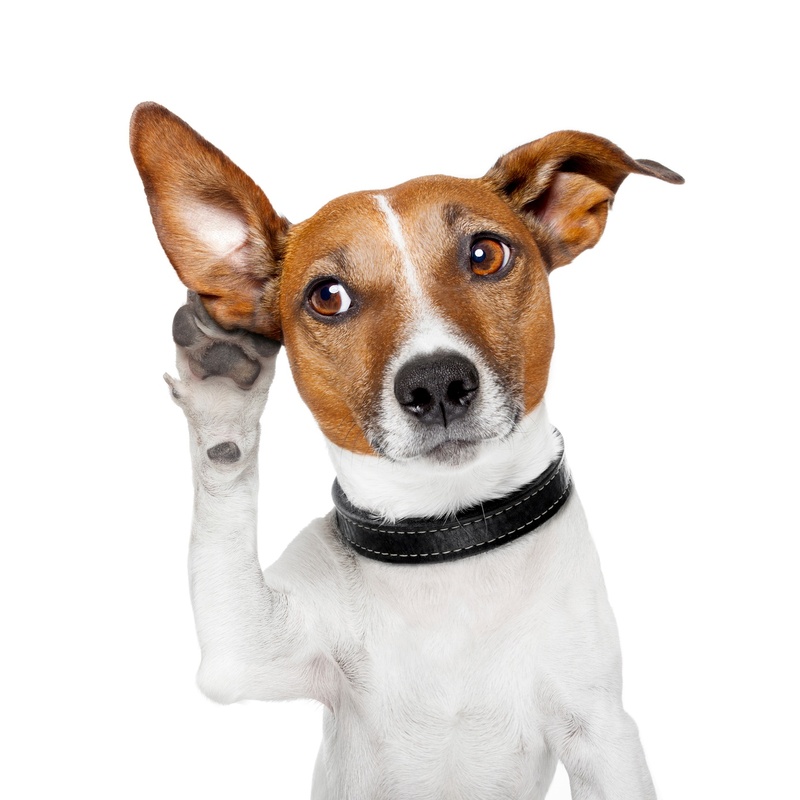 Back to my original point: The key difference in the modern pitch is *listening. * Mr. Pink gives some great examples here (as well as in the rest of the book in typical D.C. citing my sources and studies meticulously format with annotations, which makes me smile). He explains a sort of A/B test between Hollywood pitches where in one group the creatives asked the executives they were pitching to collaborate with them on their idea and in another group they did not. Guess which group was more successful in getting buy in from the executives? The "collaborators," as they were dubbed. So what does this mean for you? It means that while you still have an elevator pitch that describes what you do, next time someone asks what you do, take their professional role into account and customize your pitch for them with that knowledge. And then ask them a question related to it that gets them involved. Or during your next demo or sales call, stop and ask the person you're talking to questions about what you're telling them and relevant problems they're experiencing that your company might be able to solve. DO NOT just go through your script for 30 minutes without checking in to make sure they're still with you or adjusting your pitch as necessary based on cues from them. Most importantly, let them know you hear them, because we all know how truly frustrating it can be when it feels like the other person is really not internalizing what you're saying. A good trick here is to literally repeat back the concerns they're telling you and then say how you can help solve those problems for them. Don't skip the repeating back part! It's absolutely critical to them really internalizing YOUR solution. For more insight into how and why your customers choose to do business with you, click here to get in touch today. 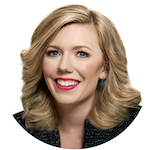 Jackie Connors is the Founder & CEO of Digital Marketing Direction, a top tiered HubSpot partner based in Texas. She provides inbound training, consulting, and managed content services to mid market companies. Some favorites of hers include growth, Texas BBQ, and a good laugh! Subscribe for inbound marketing and sales tips!